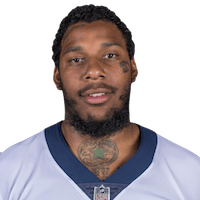 Published: Aug. 25, 2018 at 04:54 p.m.
Los Angeles Rams cornerback Sam Shields intercepts Texans quarterback Brandon Weeden deep in Houston territory and returns it 13 yards. Published: Jan. 1, 2017 at 05:17 p.m.
Los Angeles Rams safety Maurice Alexander intercepts Cardinals quarterback Carson Palmer's pass intended for receiver J.J. Nelson. Published: Sept. 26, 2016 at 11:47 a.m.
Los Angeles Rams defensive end Robert Quinn forces the fumble and defensive end Ethan Westbrooks recovers it and takes it 77 yards for the touchdown.